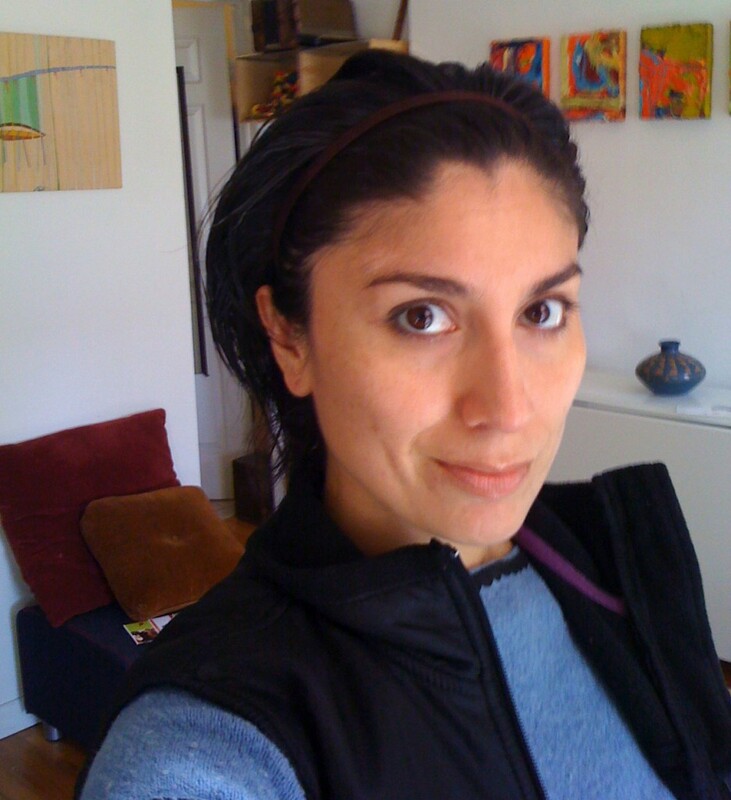 Gisela Insuaste is a visual artist and educator who received an MFA from the School of the Art Institute of Chicago, and a BA in Anthropology & Studio Art from Dartmouth College. Her paintings, sculptures and site-specific installations are based on real and imagined places that explore the intersection of architecture, topography, and memory and tap into the quirky topologies of urban spaces that resonate with personal narratives. She has participated in various exhibitions and projects nationwide such as the John and June Allcott Gallery, UNC, Chapel Hill, NC; Vox Populi, Philadelphia, PA; Satellite Gallery at the University of Texas, San Antonio, TX; Aljira-the Center for Contemporary Art, Newark, NJ; Aicon Gallery, NY; Cuchifritos Gallery, NY; ABC No Rio, NY; Queens Museum of Art, Queens, NY; Museum of Contemporary Art, Chicago (MCA), IL; Chicago Cultural Center, Chicago, IL; Krannert Art Museum-UIUC, Champaign, IL; and Gallery 400-UIC; Bucket Rider Gallery, Thomas McCormick Gallery, Chicago, IL. Gisela is a recipient of several grants and awards, including The EFA NYC Artist Workers Residency, Smithsonian LMSP Fellowship, Aljira Emerge10 Fellowship, The Richard Driehaus/Artadia Emerging Artist Award (Chicago), Illinois Arts Council Artist Grants, and MacDowell Colony Artist Fellowships. In 2008 she was included in the international art book, The Upset: Young Contemporary Art by Die Gestalten Verlag, a resource of artists working with visual subcultures. Recent projects include El Museo del Barrio’s Bienal- S-Files @ Lehman College, NY; The Carriage House, Islip, NY; 2nd Floor Gallery, Chicago; Trinity Church Museum, NY; Praxis Art Gallery, Miami/NY. Insuaste works as the Nature and Arts Program Manager at Wave Hill, a cultural center and public garden in the Bronx. She is responsible for the conceptualization and implementation of public programs with an emphasis on environmentally- based art, wellness, and nature studies. She currently lives in Brooklyn, NY.